There was a time in our culture when multiple generations routinely lived under the same roof and when the elder generation reached a point where they needed extra care a gradual and gentle transition would take place. With the passage of time and multiple revolutions in the economy, our culture and our vision of family have changed. This will eventually confront most adults with a challenge they are often unprepared for; parenting their parent, often from a distance. While we all hope that our parents remain in fine physical, mental and financial health until the end, planning for a less ideal reality is prudent. We have prepared a four-part series that will provide you with the lifestyle and financial concerns one should consider when approaching this role reversal. An overview of what to start thinking about and the conversations to have now. Begin by accepting that your parents will age, and that those strong people who raised you, may need your help. With distance separating generations and time seemingly moving faster these days, all too often this acceptance and preparation for this transition begins the day after a life changing event makes it a necessity. It is much easier to do well in advance of its need. This means start with a conversation, an honest appraisal of what may be needed at some point in the future. Parents should initiate the conversation as well. Having this conversation early avoids the challenges of a parent who feels threatened, or worse yet, one that cannot participate in the conversation. A cooperative and competent parent’s involvement can make every forthcoming transition both easier and more consistent with the parent’s wishes. Going at it alone should not be an option. Caring for a parent can be challenging on many fronts, and is just one of many responsibilities of a person at this stage in life. While it is advisable for one person to take the lead, serve as the point of contact for the parents and their professional care givers, other siblings need to be involved and able to contribute. If there are no other siblings, and/or circumstances prevent family managed care, a professional geriatric care manager can be engaged. Additionally, you should confirm that the various doctors giving care to your parents, if not within the same medical group, are at least in contact and coordinating care as needed and are aware of your role. · What if they need in home care? · Can/Should we move them in with us? · What if one needs assistance and the other does not, or they need different levels of care? · What if they must be placed outside the home? · What if they become difficult or refuse? Once you have determined where the parents will reside through the process, it is wise to research the resources available. These vary greatly from areas with more resources to be found like in metropolitan areas and far less so in remote and rural parts of the country. This can be a determining factor in your contingency planning. Identify friends and neighbors who, while not serving as care givers, might be available for the occasional errand, or just to check up on the parents. Identify the professional resources available in the area. In addition to a geriatric care manager, most locales have a wide range of professionals who can provide in-home care ranging from light housekeeping to skilled nursing. Most clinics or hospitals have a social worker who can serve as a resource to connect you with the agencies you might need. If assisted living, or long-term care become a necessity, it is well to have researched facilities and have a list of those that are acceptable (and affordable) to all involved. Unfortunately, these facilities often have long waiting lists, such that a sudden downturn in your parent’s health might leave your first choice unavailable, hence the need to know your options. Several legal documents need to be executed. 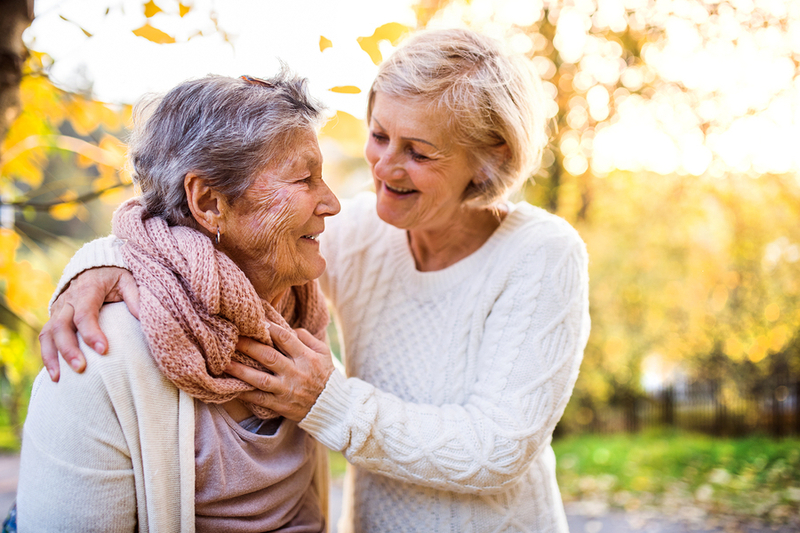 Durable power of attorney for finance and health care allow the designated person, the above lead person normally, to act in financial and healthcare decisions in the absence or incapacity of the parent. A HIPPA consent form allows the lead person access to the parent’s health care information. A living will establishes the patient’s wishes as regards to certain end of life situations. A lack of this documentation can require court involvement in decisions at crucial and difficult times. Much discussed above comes with a high price. While we will delve further into financial preparedness in a future post, suffice it to say an assessment of the parent’s financial resources is necessary and will impact options. This is a challenging subject to broach and it can be difficult at times to achieve the needed trust for full disclosure of all financial aspects. No one wants to watch their parents decline. However, if it is going to happen, it is easier if you are prepared. Remember also to take care of yourself and to cultivate patience, they call it parenting for a reason; and remember to enjoy the precious moments when you can give back to those who gave to you. Our next article in this four-part series “Parenting the Parent” will discuss aging parents and money management. Please check back or follow us on Facebook, Twitter or LinkedIn to receive notifications of future posts in this series.